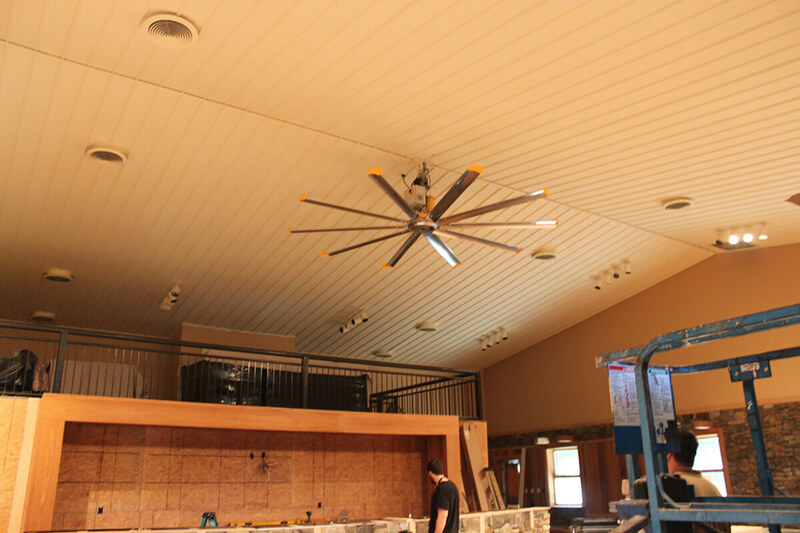 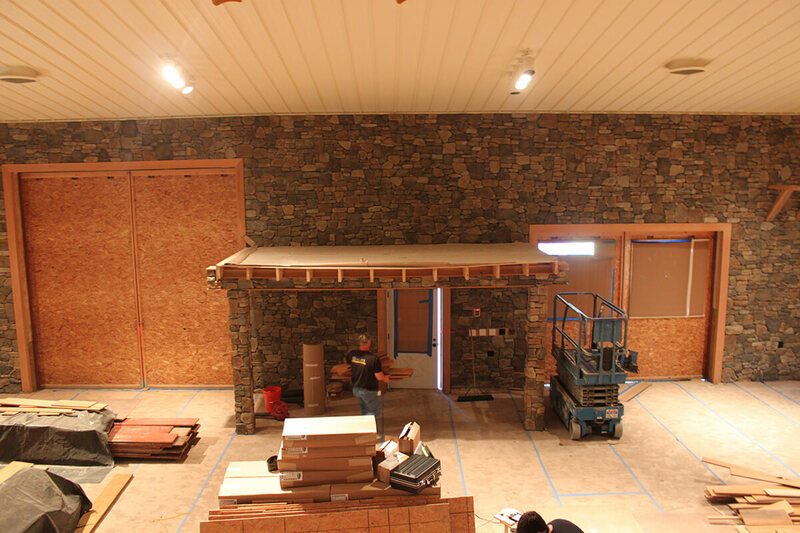 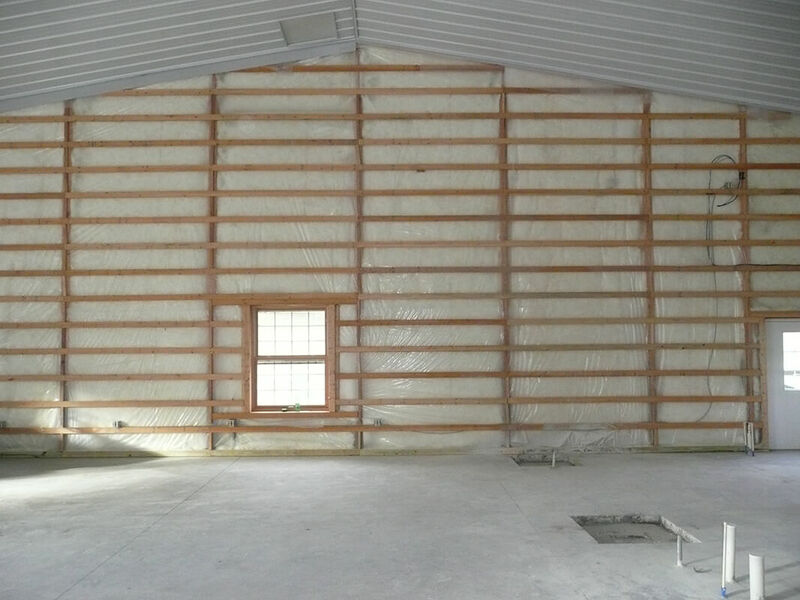 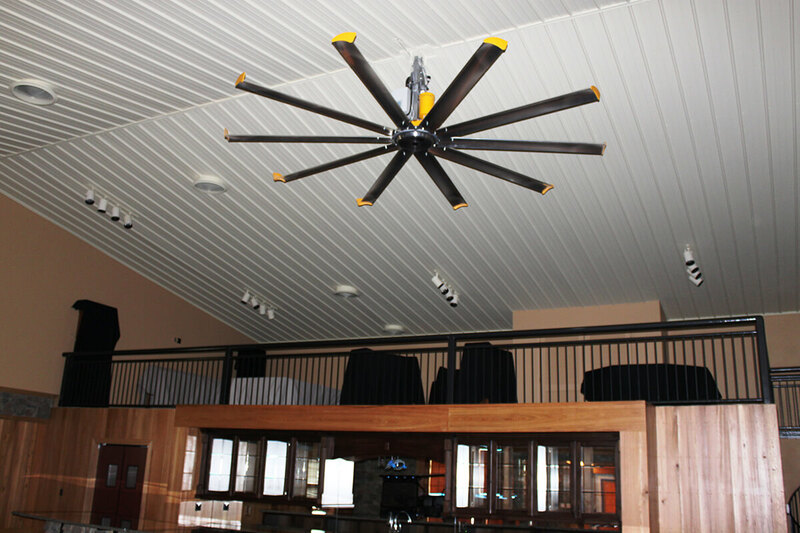 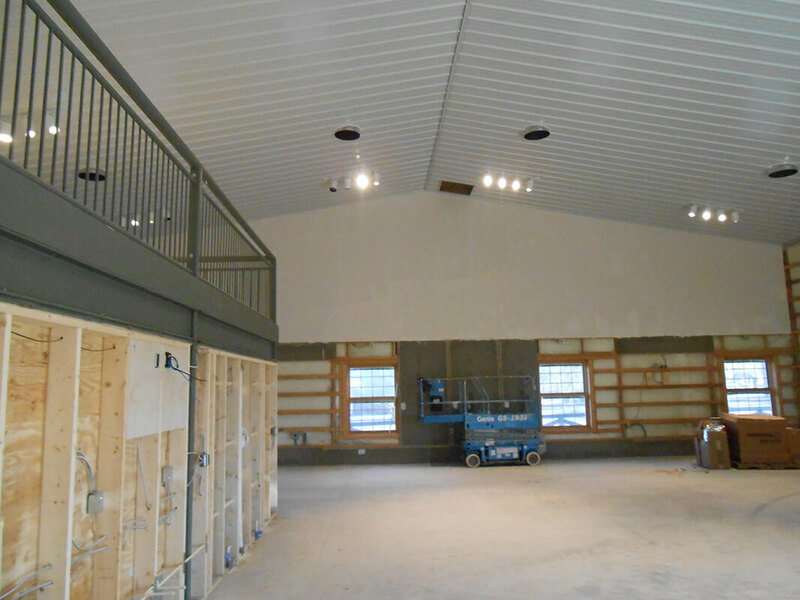 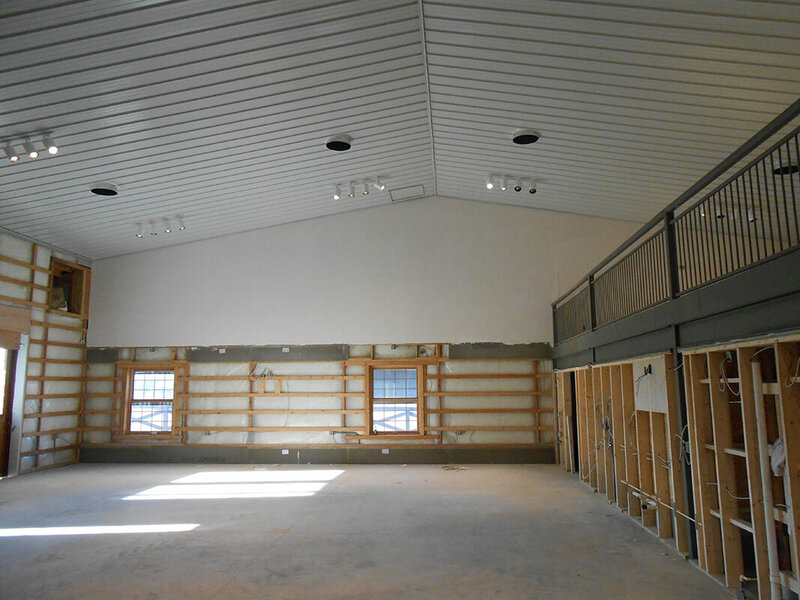 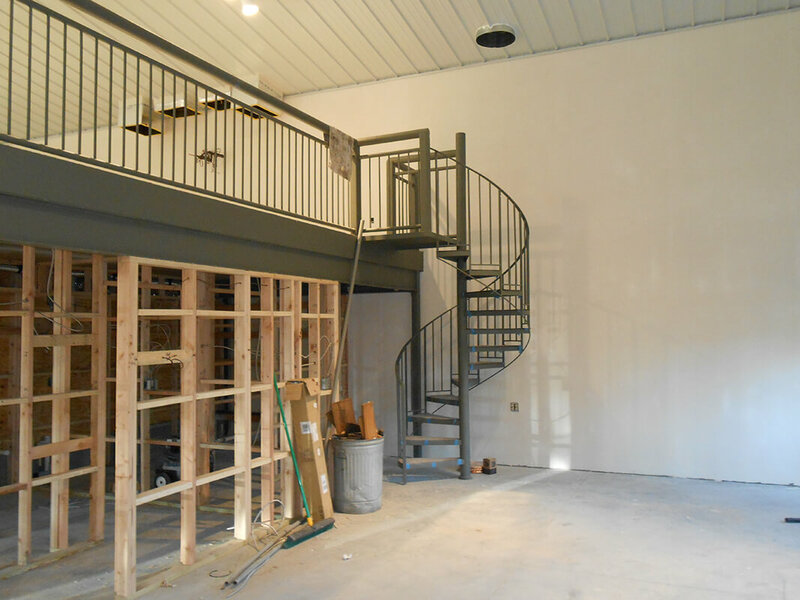 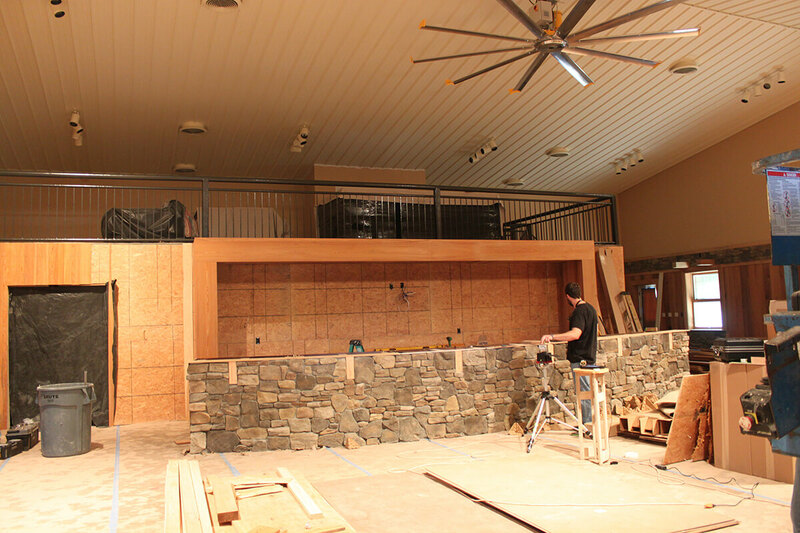 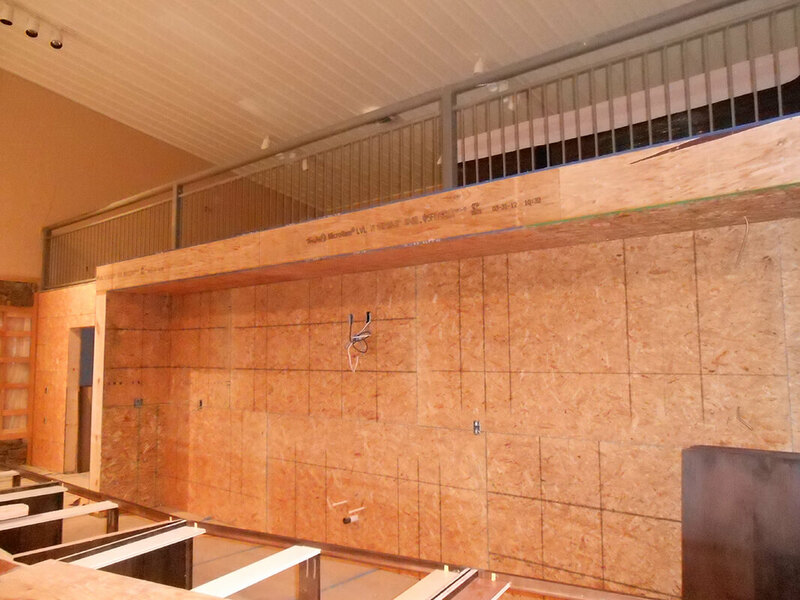 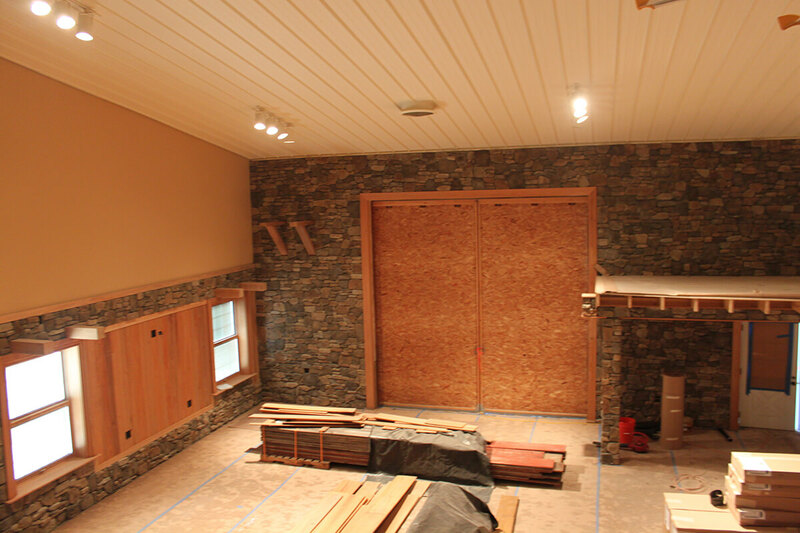 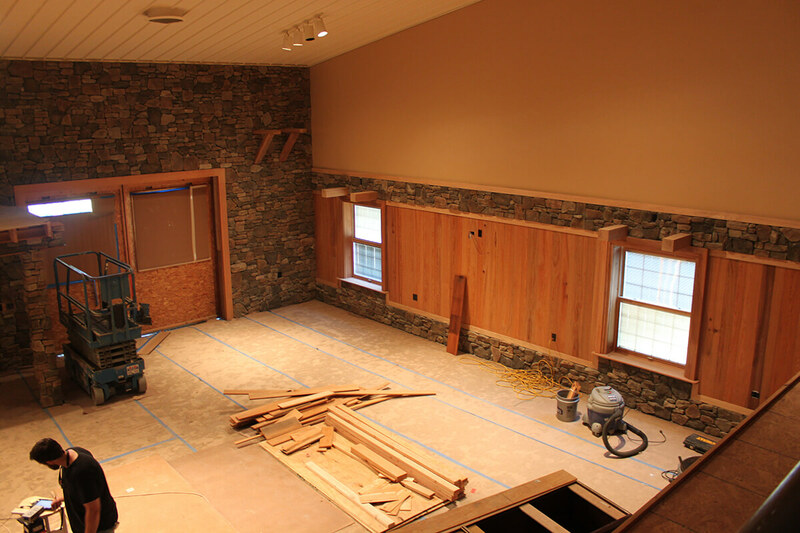 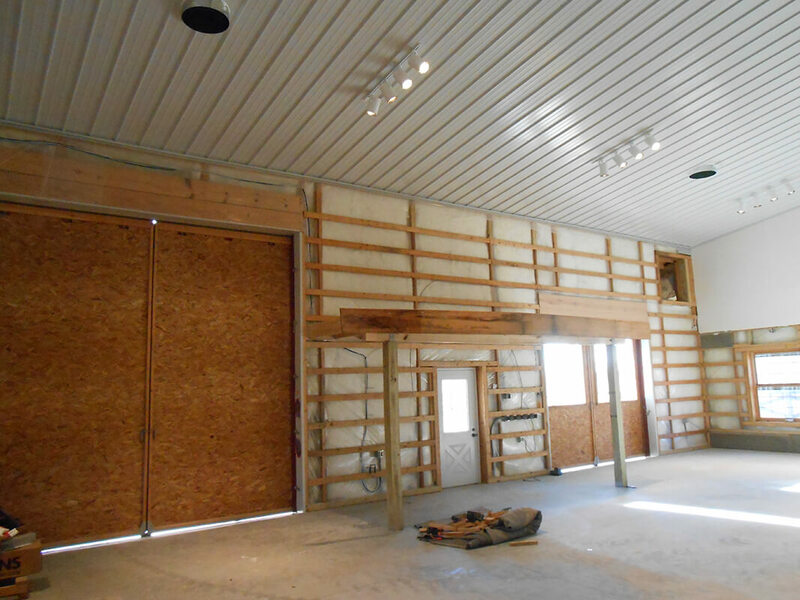 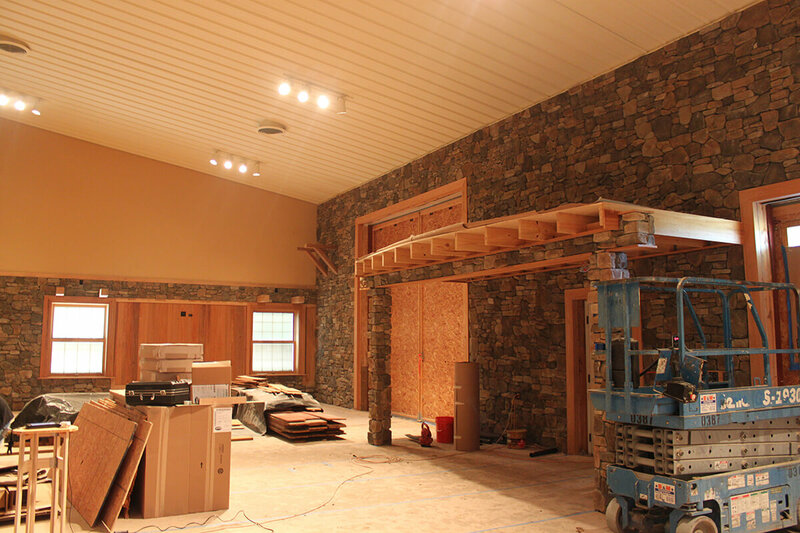 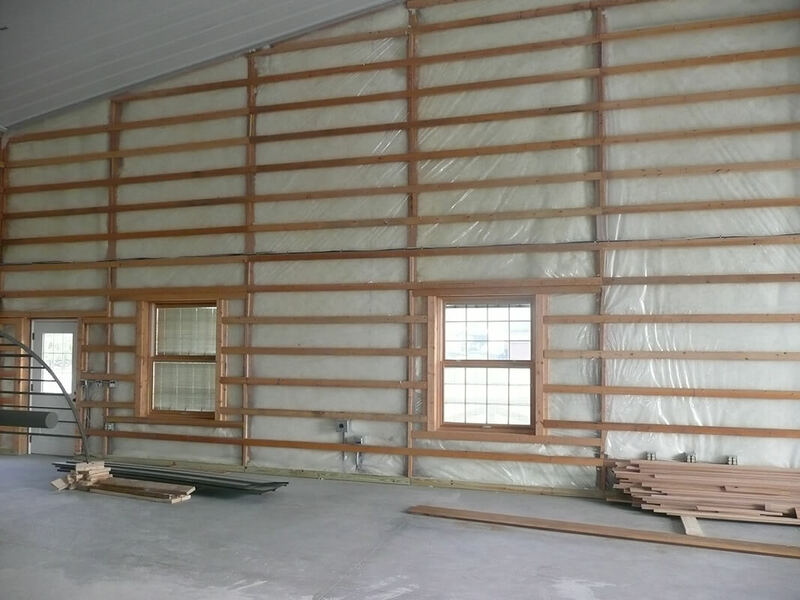 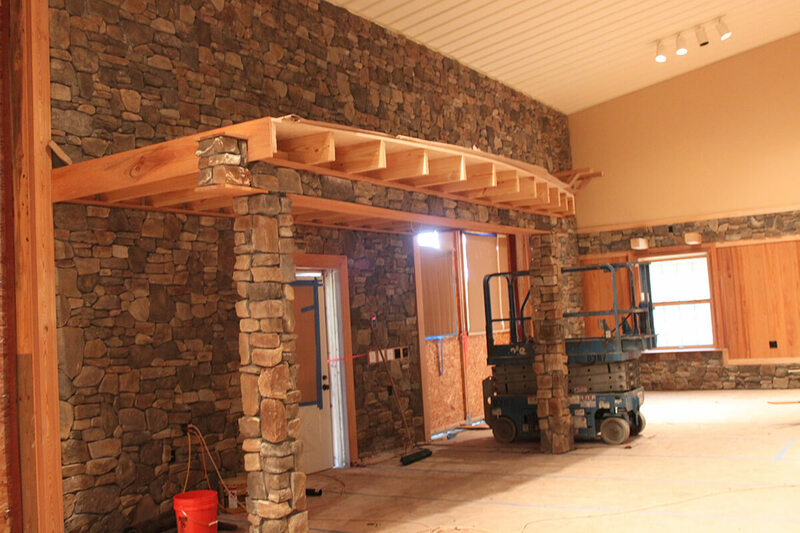 This full barn construction was a delight to watch as it came alive. 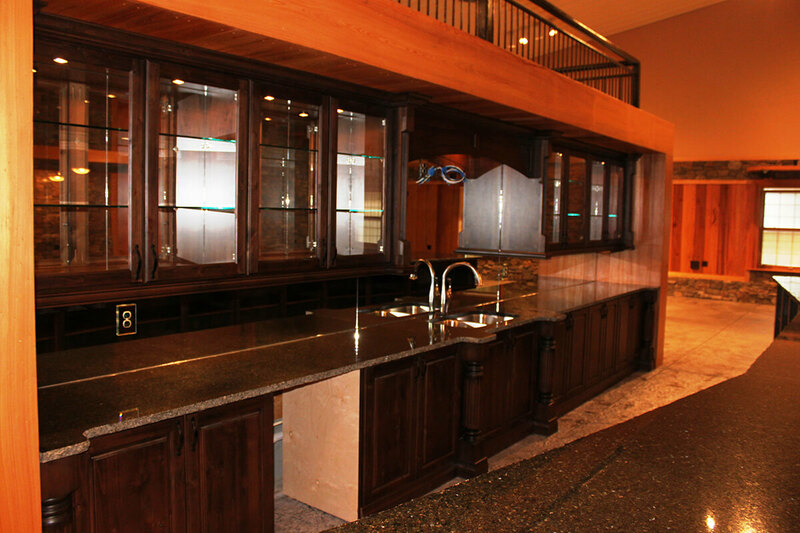 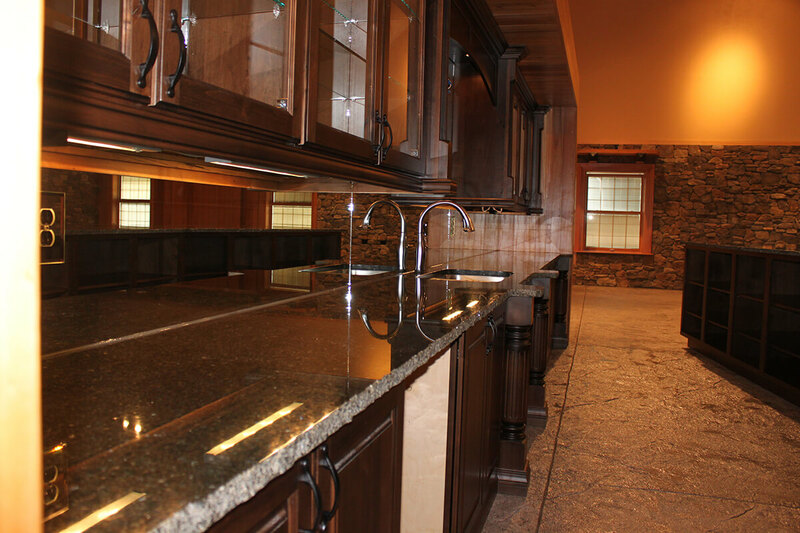 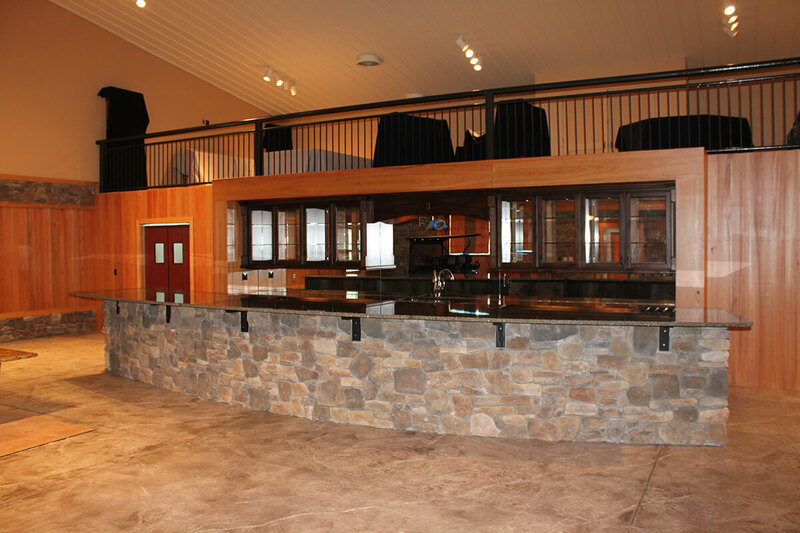 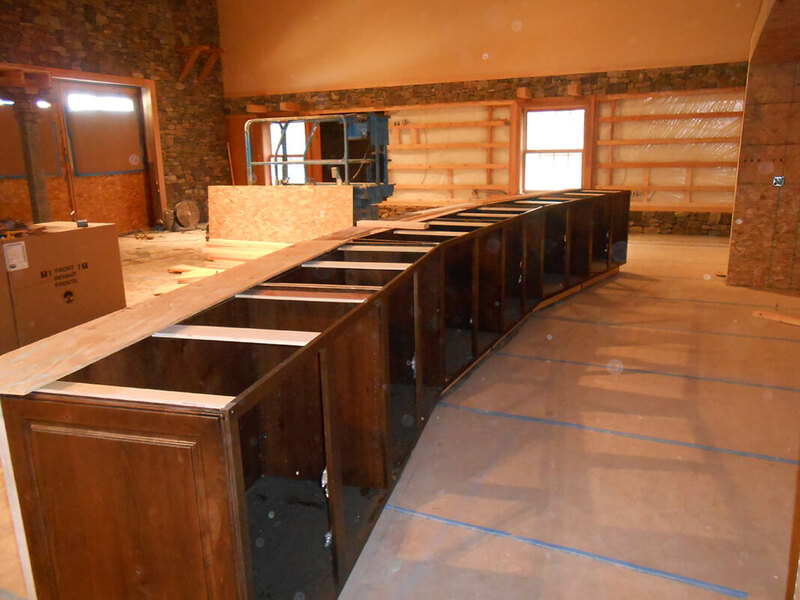 The cypress walls with mixed stone and dark rustic alder countertops set a rustic yet charming atmosphere, while the granite countertop and bar top with a chiseled edge and mirrored backsplash add a touch of modernity. 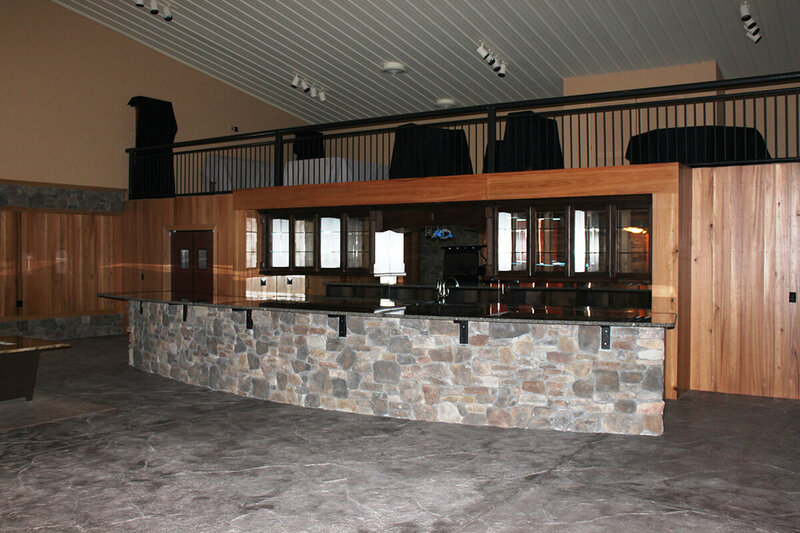 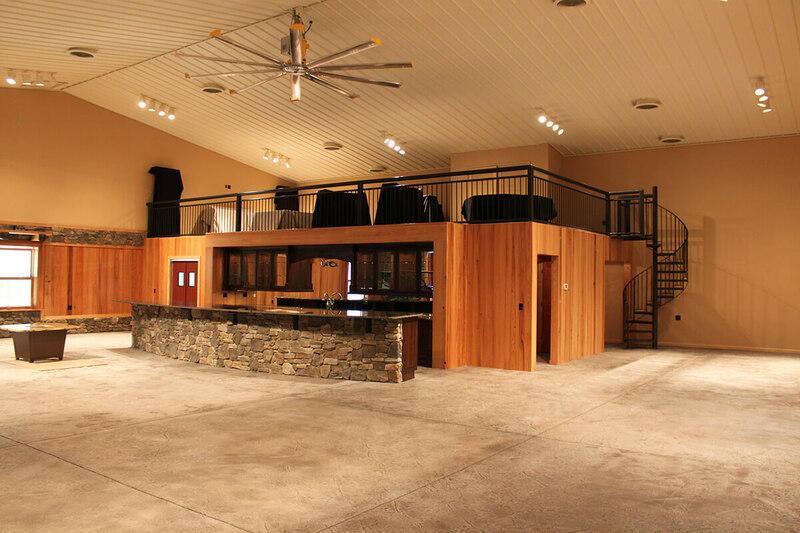 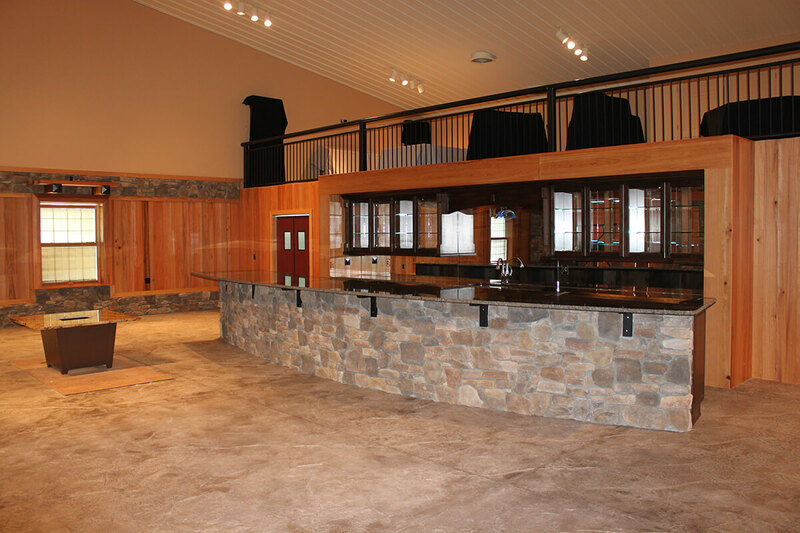 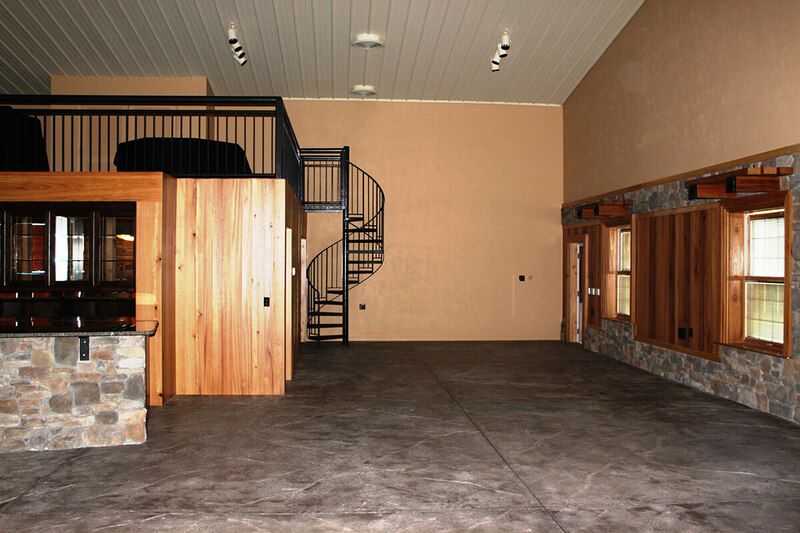 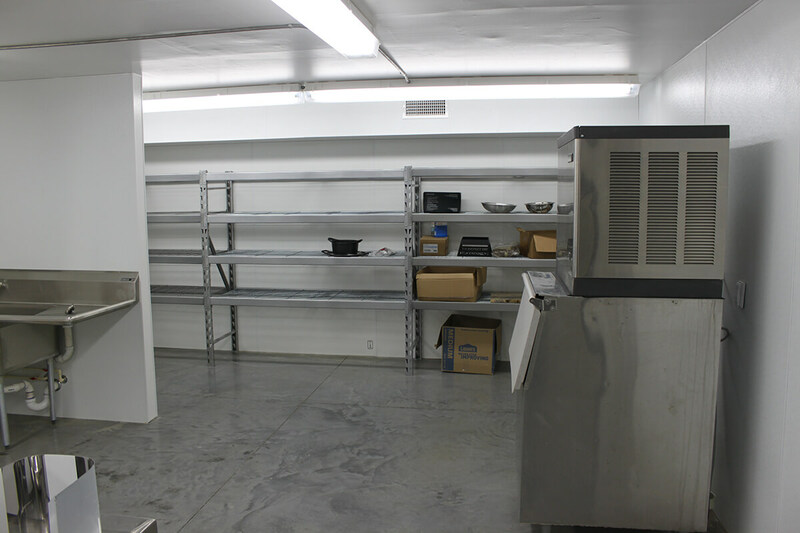 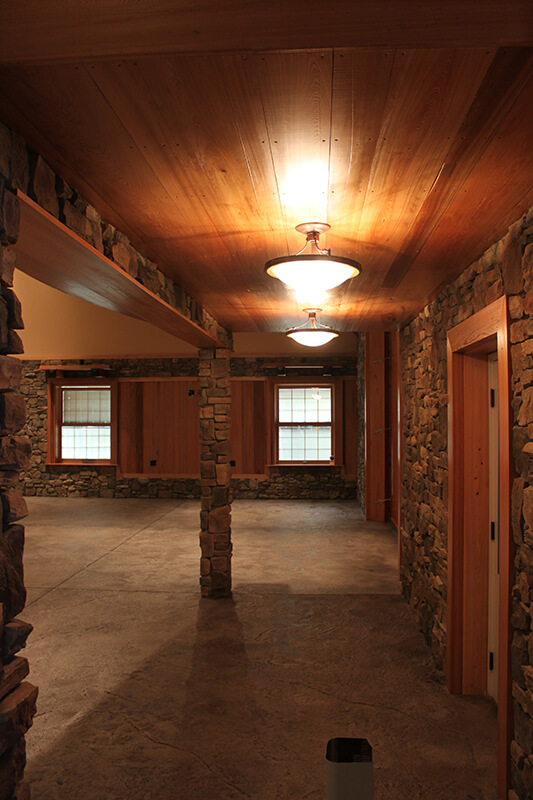 All of the floors throughout are beautiful stamped concrete by our own Artisan Decorative Concrete division. 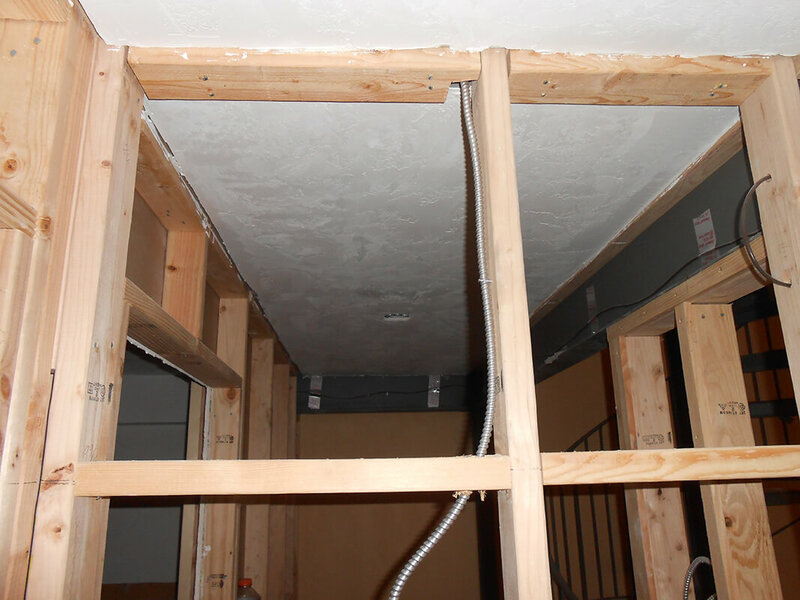 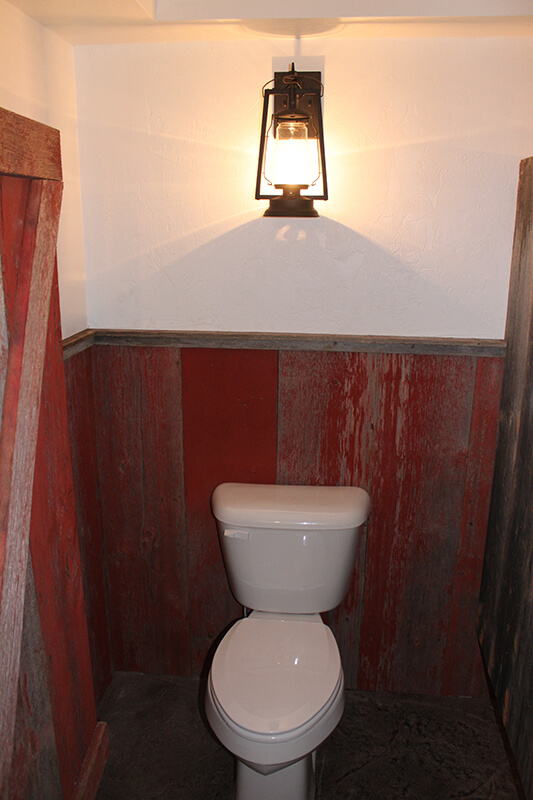 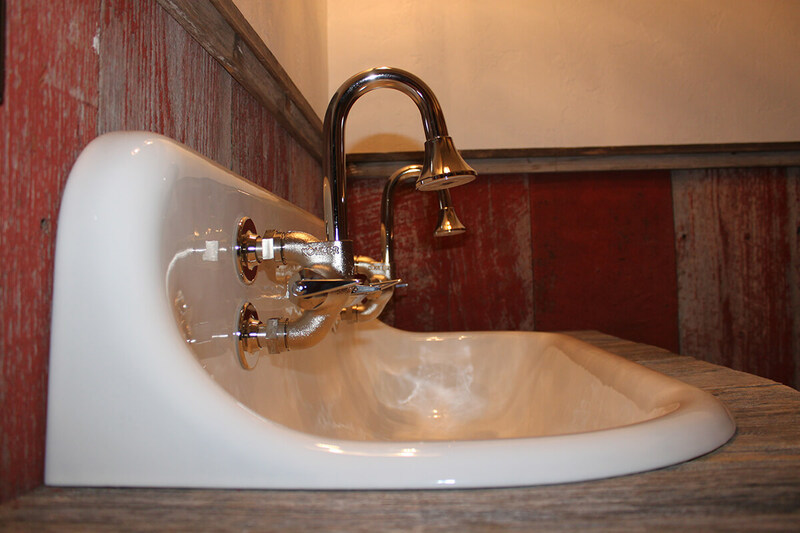 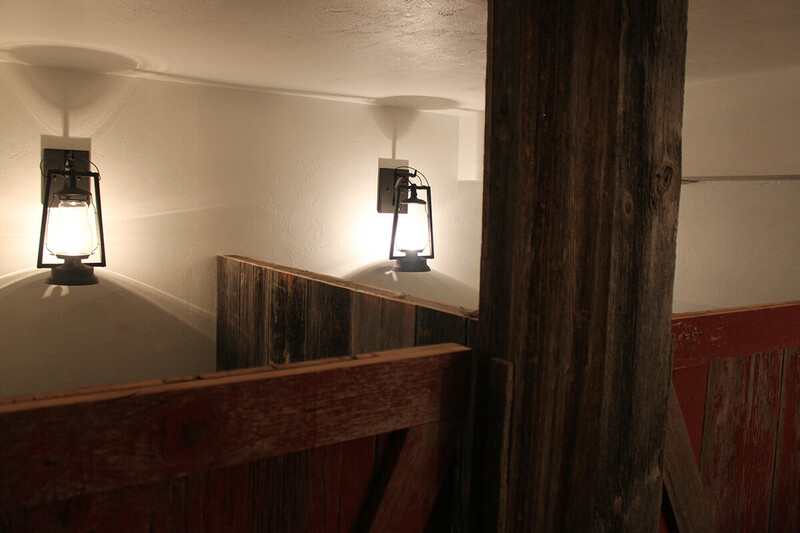 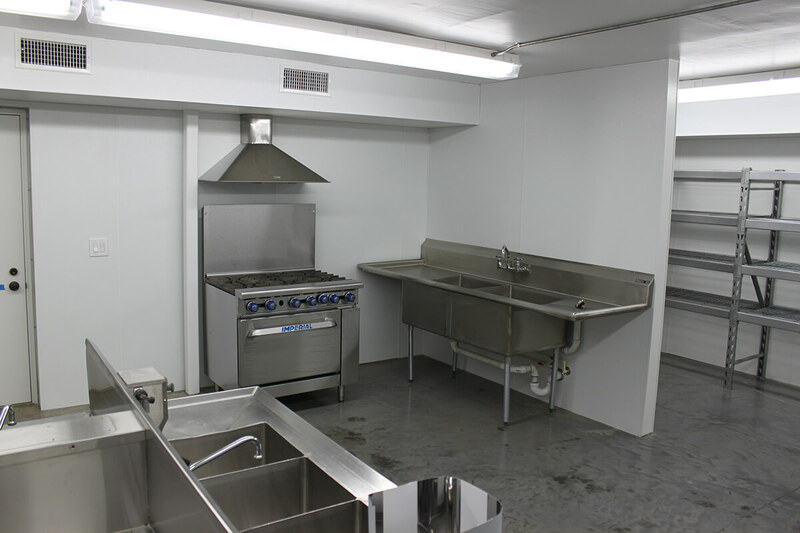 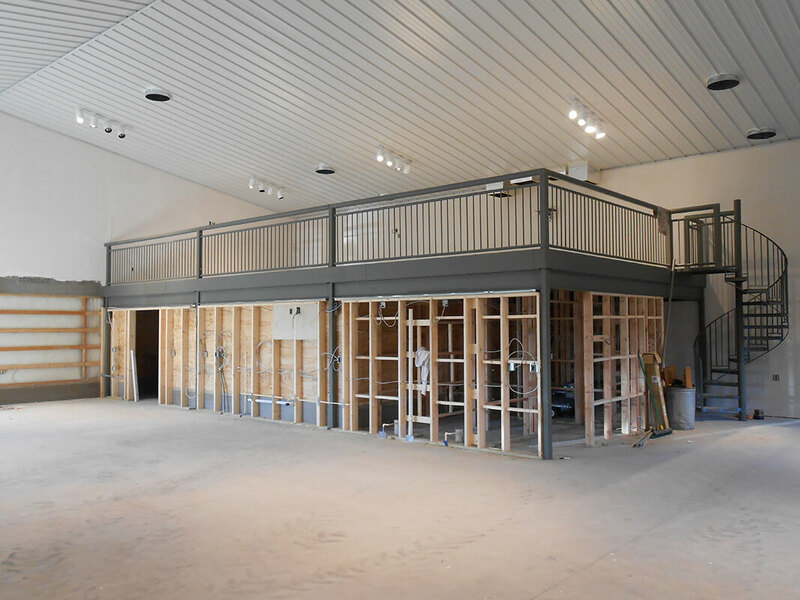 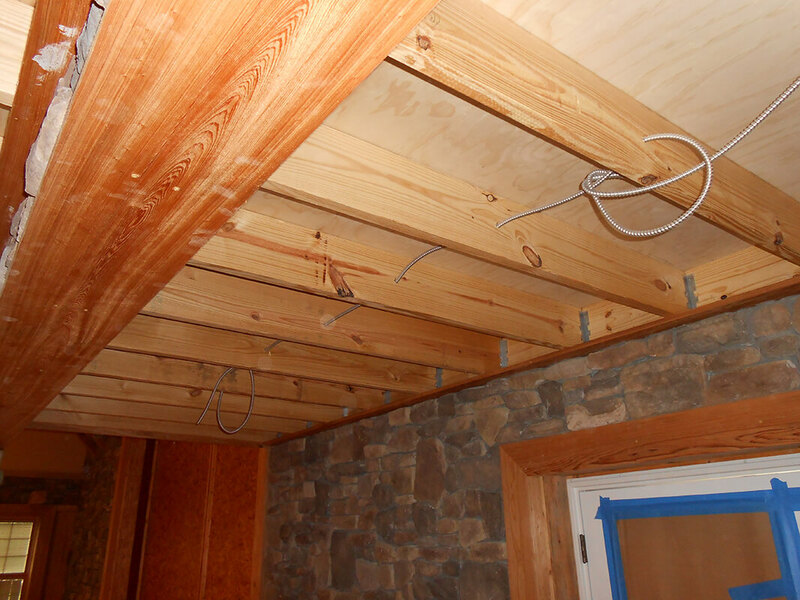 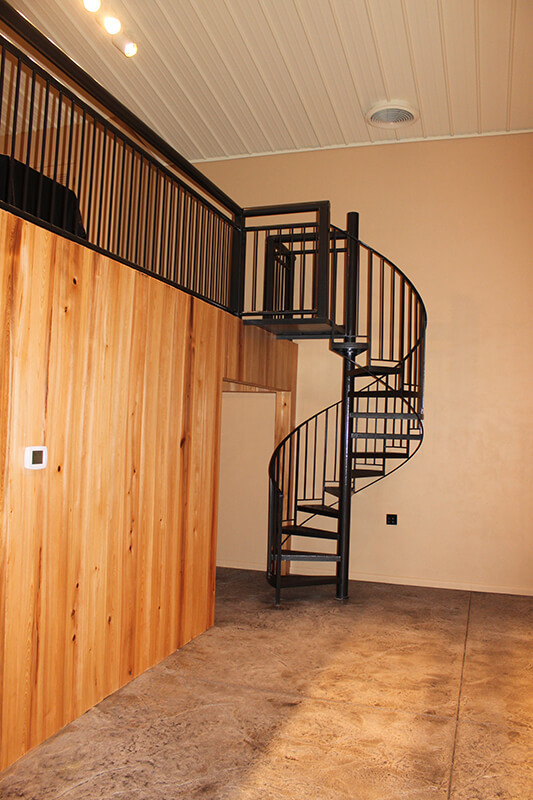 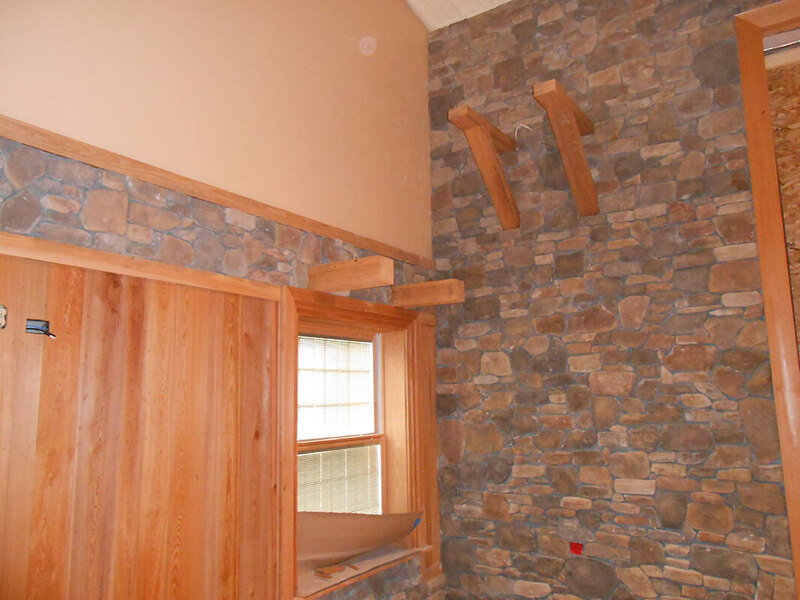 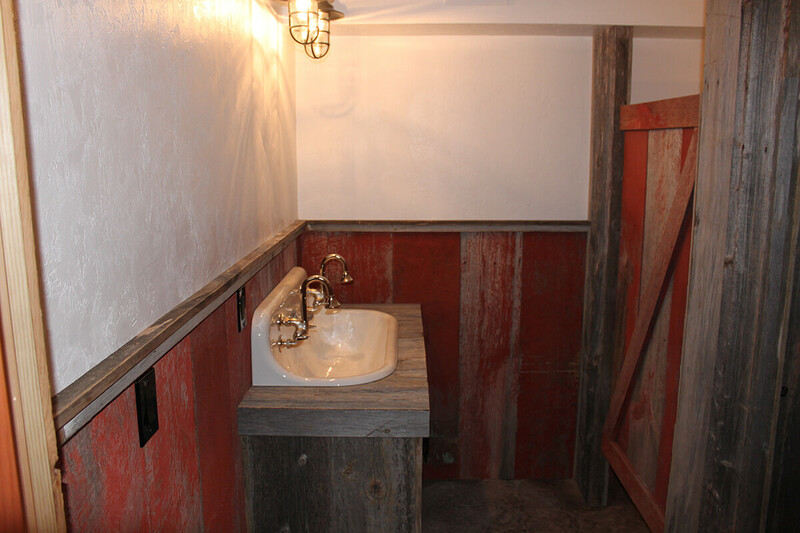 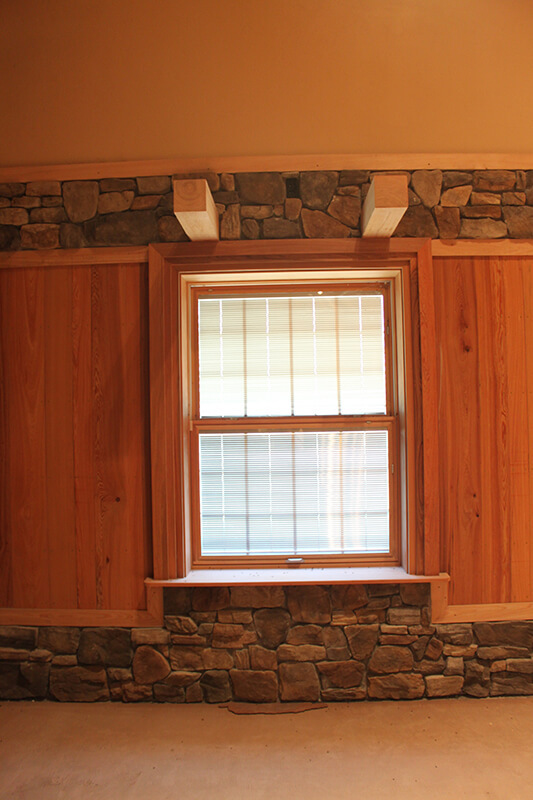 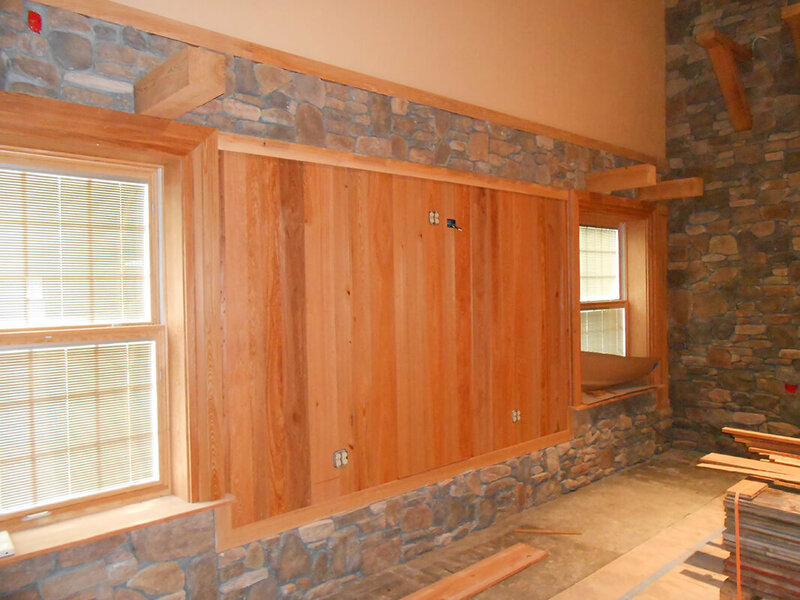 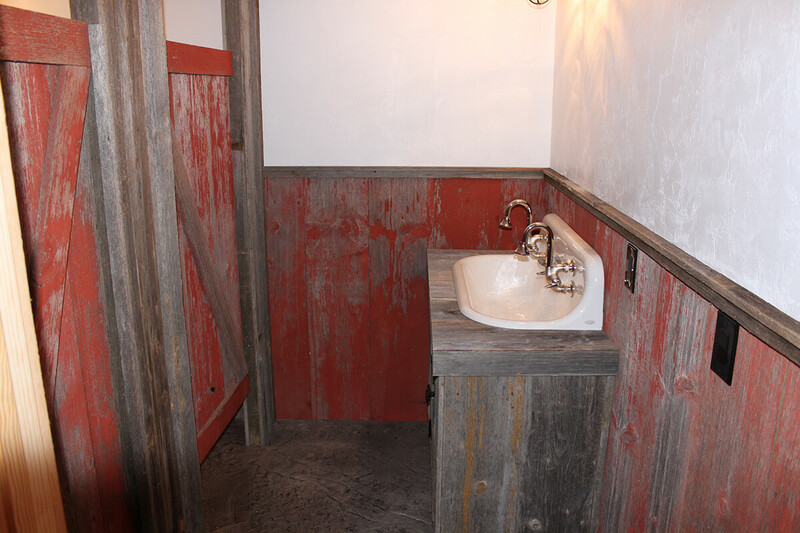 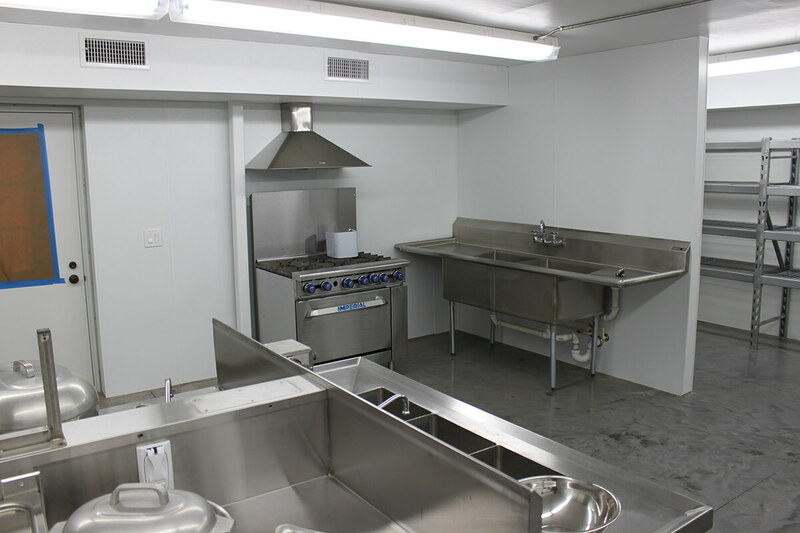 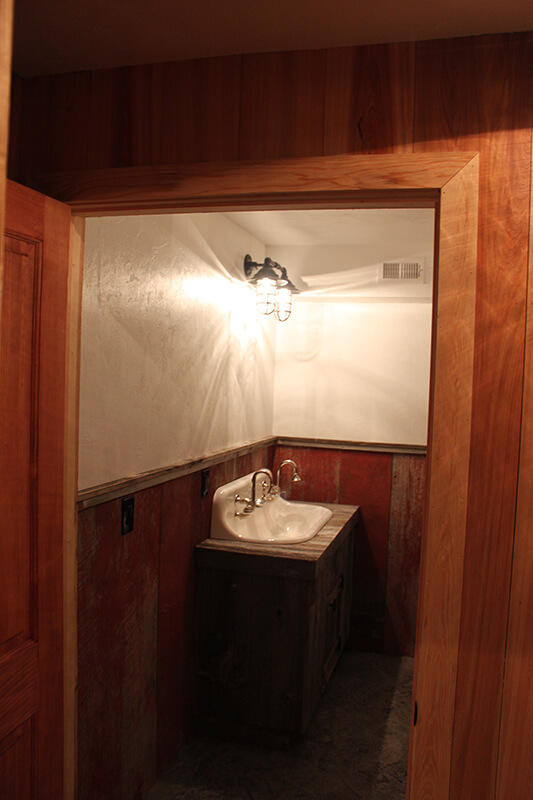 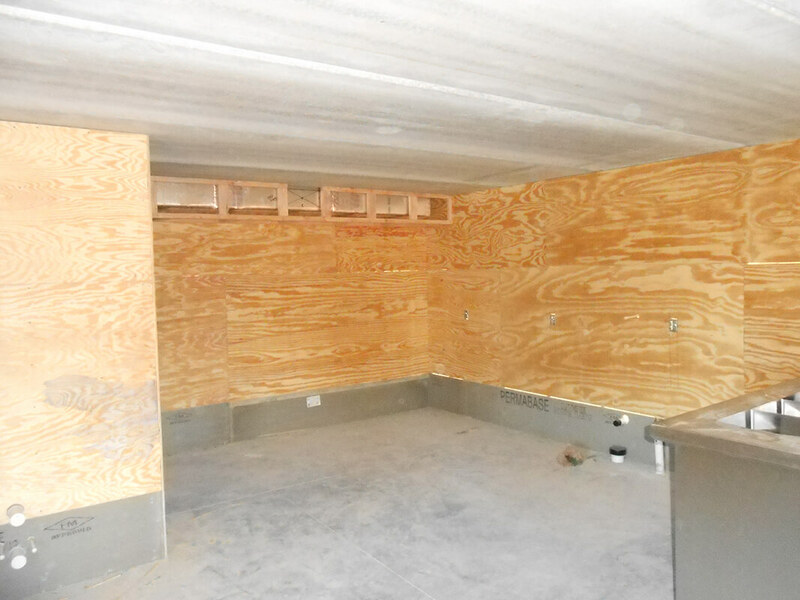 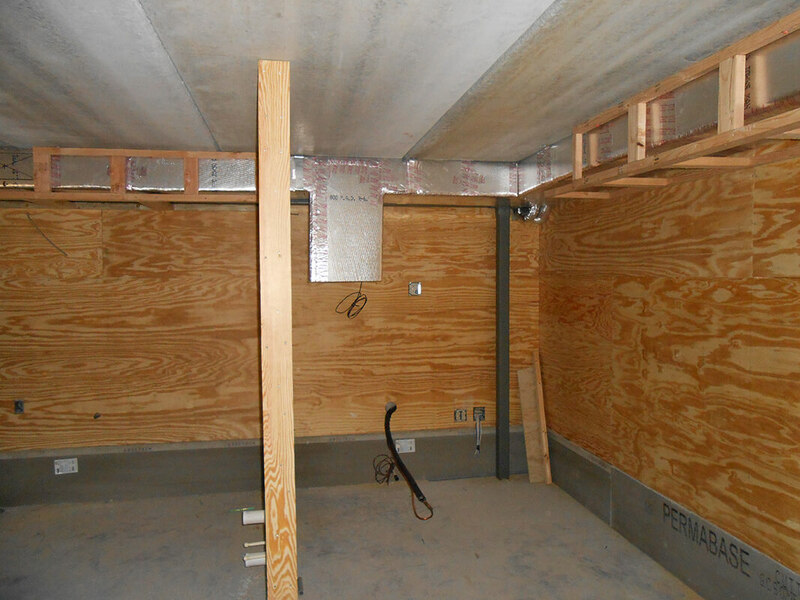 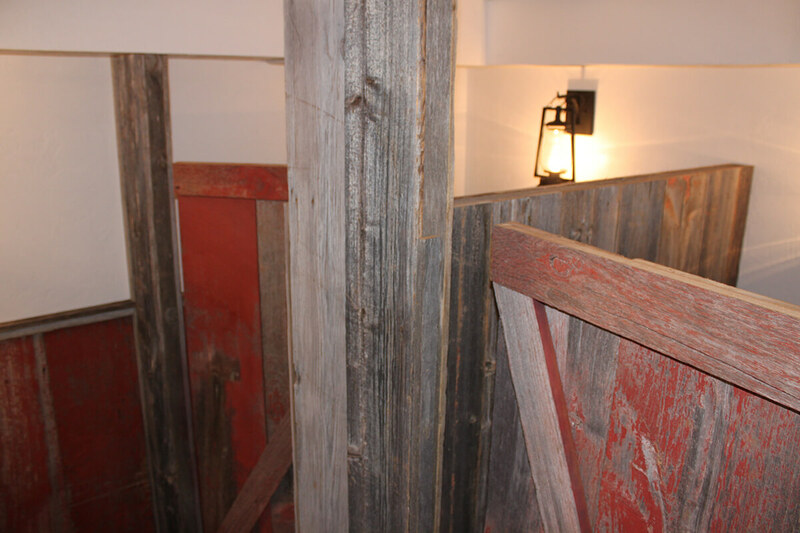 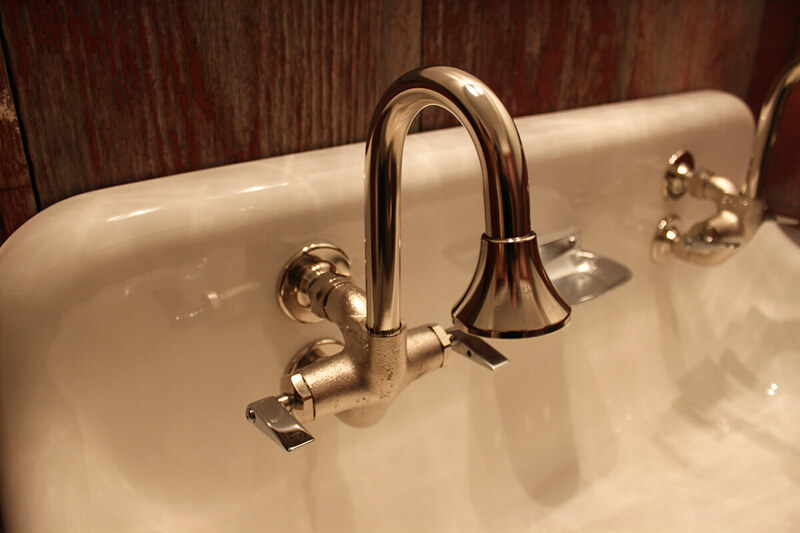 Wainscot and stalls in the bathrooms are designed with red and gray barn wood to complete the countryside simplicity.